His Holiness, the 34thsMenri Trizin will be touring the United States and Yeru Bön Center has been chosen as one of his stops in Minnesota. Yeru Bon Center is honored to host His Holiness,the 34thsMenri Trizin, Dawa Dhargyal Rinpoche’s visit to Minnesota for several teachings, initiations and blessings. We invite you to participate in welcoming His Holiness, the 34thsMenri Trizin at the Yeru Bön Center Welcome Gala. Sit-down dinner prepared by chef, Lhakpa Dorjee, the personal chef to His Holiness, the 14thDalai Lama. The Welcome Gala will be held at the Grand Landmark Center in St. Paul, Minnesota. The perfect place to host and welcome the Spiritual Head and Lineage Holder of Bön. 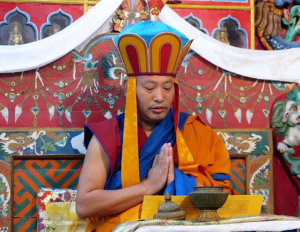 After the passing of His Holiness, the late 33rdsMenri Trizin, His Holiness, the 34thsMenri Trizin, Dawa Dargyal Rinpoche was chosen as the lineage holder of Bön by the deities and protectors of Bön and enthroned as the World Wide Spiritual Head of Bön November , 2017. Yungdrung Bön means Eternal Light or Enlightened Teaching and is the original and authentic spiritual tradition of Tibet. It’s 18,000 year old history is based on the principle of practicing indiscriminate love and compassion towards all. 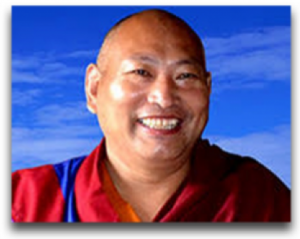 With open heart, we welcome you to please join us in this very special and auspicious event as we receive His Holiness, the 34thsMenri Trizin here in Minnesota, home of Yeru Bon Center.